Dawn Knutson is our Family Advocate and the central point of contact for families and community members serving and caring for children with mental health concerns. This position also provides the community with various trainings, including Adult and Youth Mental Health First Aid. The Scott County Family Panel is a support group of community parents who meet to advocate for and receive education about children’s mental health. This group is open to all parents who have youth with mental health needs. There is also an annual Family Conference for families caring for youth with mental health needs. Learn more about our group, including the meeting schedule and other upcoming events. 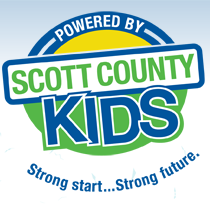 The Scott County Kids Provider Panel is a work group of community providers serving residents who identify and address issues related to children’s mental health in Scott County. We periodically offer Youth Mental Health Training, Youth Anger Management Training, Adult Mental Health First Aid Training, and Yellow Ribbon Suicide Prevention.